This is the perfect port to use in mulled wine. Photo by Brenna Arnesen. beverages… peppermint mochas, hot buttered rums, caramel apple cider, espresso with egg nog and rum, salted caramel lattes with bourbon (OK, fine, you caught me on that last one). But really, it’s kind of gross when I drink something like that, and imagine the millions of calories entering my bloodstream that I really don’t need after all the chocolate or cookies or other crap I’ve been eating this time of year, and feel terrible afterwards. Something simpler is clearly in order! Why do we feel the need to expand exponentially on the classics? Why can’t we celebrate the basics and indulge in simplicity? This is why I would like to propose a return to simpler times, to delicious, decadent-yet-not-overly-so, satisfying mulled wine. I’ll bet you’re surprised to learn it’s mulled wine, not MOLD wine. Mulled wine is for winter what sangria is for summer. Except instead of Spain or South America we venture to the cold Northern European countries and pictures of children building snowmen, bright copper kettles and warm woolen mittens come dancing into our heads, causing us to crave this soul-warming winter beverage. This is the drink of Christmas time: sweet, spicy, citrusy, woodsy, aromatic, and above all, hot! The perfect way to celebrate Joy to the World! Look no further, this recipe for mulled wine is sheer perfection. Yes, it’s sweet, but at least you can say it’s real wine, sugar, fruits, and spices. Probably a little bit better than some of those other holly-jolly-nightmare beverage concoctions. Definitely share with friends! Per my friend’s request, here is a mulled wine recipe (part one of two, actually). 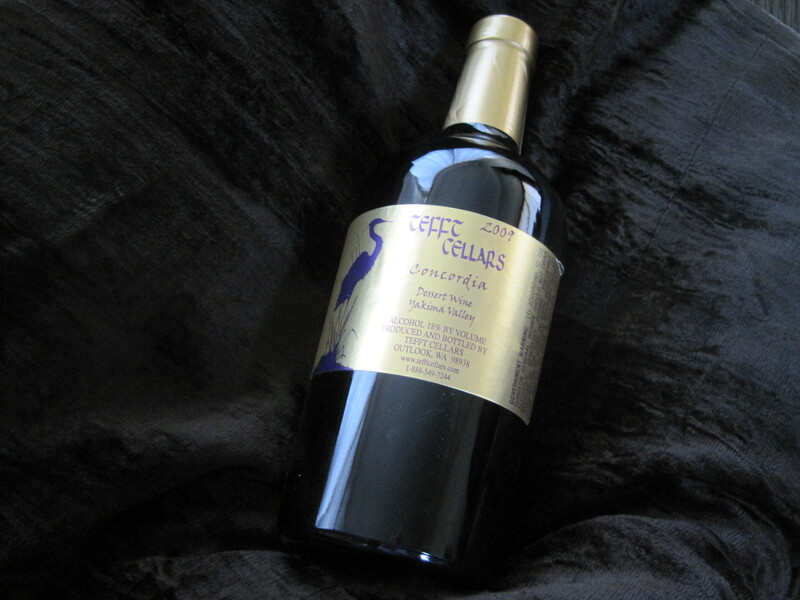 I got this recipe from the lovely folks at Tefft Cellars. My husband and I will be making this every year, for as long as we both shall live. In a crock pot or dutch oven, begin warming wine, port, and water. Add orange and other ingredients. Adding sugar when wine is warm will help it dissolve more easily. Warm gently (avoid boiling) and enjoy!